The late-night clubs of Chicago were the breeding ground for both blues and house music. While many of those legendary clubs no longer exist, the Windy City still has a vibrant and dynamic club scene, and these are the 10 best places to head for a big night out. Though the Paris Club restaurant on the ground floor has closed, the second-floor club Studio Paris continues to thrive as one of the city’s coolest venues. It has played host to the world’s biggest names, including Avicii, Tiesto, and DeadMau5, and it features a state-of-the-art sound system. The club also has a retractable glass roof, so on warm summer evenings, you can dance in the open air under the stars. Just around the corner from Wrigley Field, Smart Bar is a basement club below the Metro rock venue. The long-standing club pulses with house, techno, and electro music on its world-renowned sound system and features a rotating lineup of star DJs from across the U.S. and the world. There’s usually a cover, but drink offers can help keep the cost down. The Mid gets its name from various places. It’s roughly in the middle of the city; it’s in the middle of being a live music venue and a nightclub, and it’s also in the middle in terms of size, with an 800-person capacity. But it’s certainly not the middle of the road, with three full-service bars, plush booths, and skyline views. It sees long queues on the weekends, with its two floors filling up fast. Lake View’s Berlin, inspired by the art and cultures of the owner’s favorite city, opened in 1983. Famously attracting a diverse, alternative crowd, the club has won awards as the city’s best gay bar, but it is welcoming to all. The music ranges from new wave to house, as well as hosting theme nights including Stardust and MadonnaRama. The dancefloor is small, so be prepared for it to be crowded. Another intimate, underground destination, Primary is a boutique nightclub with a capacity of just 250 people. But if you get in, it has one of Chicago’s best sound systems and hosts the city’s hottest DJ talent spinning house and techno alongside Latin and hip-hop nights. Its mixology bars and 12-foot (3.7-meter) LED wall ensure an environment as stimulating as the music, and the friendly staff contributes to a positive vibe. For something a little more old school and relaxed, the Green Mill Cocktail Lounge has been a part of Chicago’s nightlife for over 100 years. Crowds of all ages still flock to this legendary Uptown club for nightly jazz performances and some of the best cocktails in the city, and they also visit to experience a glamorous age when gangsters rubbed shoulders with movie stars at the long Art Deco bar. In the heart of River North, Sound-bar is the opposite of Chicago’s intimate clubs, with two levels, nine full-service bars, and a 4,000-square-foot (372-square-meter) dance floor. Huge crowds pack in for an upscale, Euro-inspired nightclub experience, with big-name touring DJs and floor-to-ceiling video projection walls for a full-on audio-visual show. If you have a lot of friends, you can rent one of the levels. 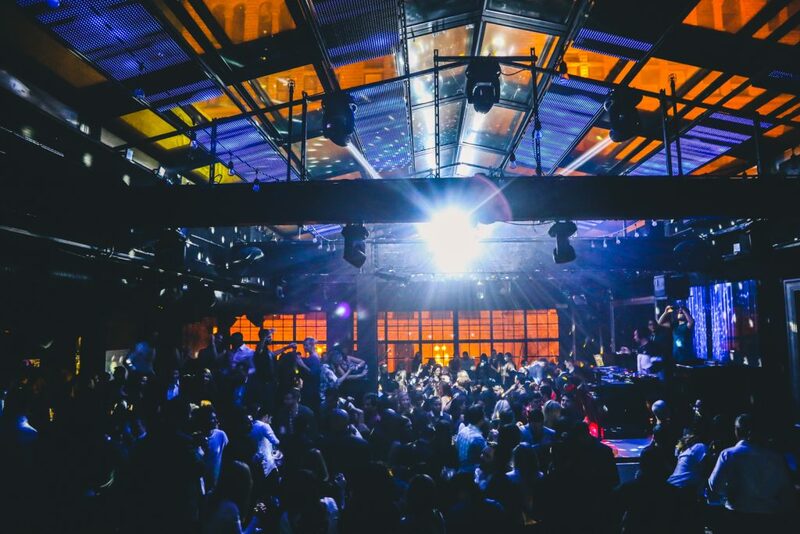 Another basement club in River North, Spybar has been around for 18 years and can match any nightclub for the big-name house, techno and electro DJs it attracts on a weekly basis. 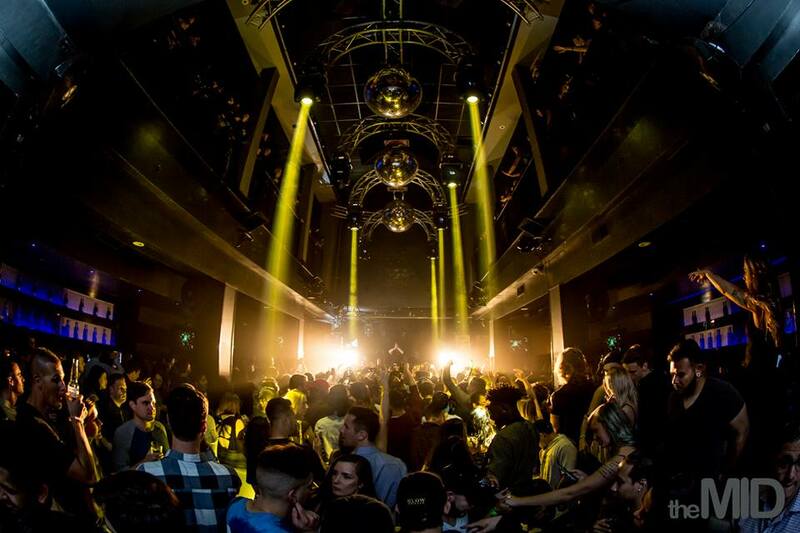 Describing itself as a “perfect cross section between high-octane clubbing and intimate lounge atmosphere,” its claims were backed up by Rolling Stone magazine, who included it in the top 10 dance clubs in the U.S. in 2013. Thanks to its owner, bar guru Billy Dec, it’s not uncommon for the Underground Chicago to attract a celebrity crowd, with Kanye West among its famous attendees in the past. Recently remodeled, revamped and expanded, its underground bunker theme only extends to the décor, as the DJs, system, and drinks are all high end. Scantily clad dancers, pulsating light displays, and busy screens ensure a wild and chaotic atmosphere. Over in Lincoln Park, The Apartment purposefully sets itself apart from a lot of Chicago’s club scene with a laid-back loft party feel. The quirky lounge has couches, a bed, a fake fireplace, and even a kitchen area with a fridge and other appliances, but there are still dancers on platforms and waitresses doing the rounds with shots. It’s only open a few nights a week, and there’s no cover charge; therefore, it can get pretty busy, especially with the college crowd.